4.5"H resin stone mix, functional 2-box set. Verse: My First Tooth (box 1), My First Curl (box 2). 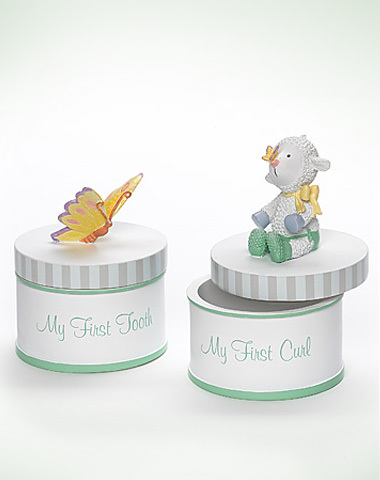 These cute keepsake boxes with butterfly and lovable Lamie Pie, can be used to hold some milestone memories.